Click the Play icon to start monitoring the activity for a page. 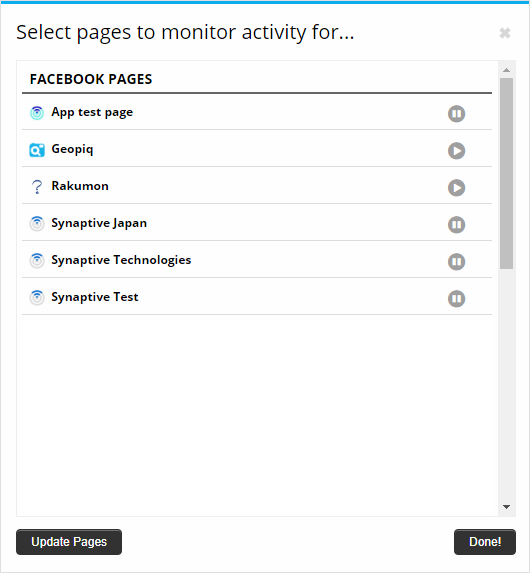 Click the Pause icon to stop monitoring the activity for a page. 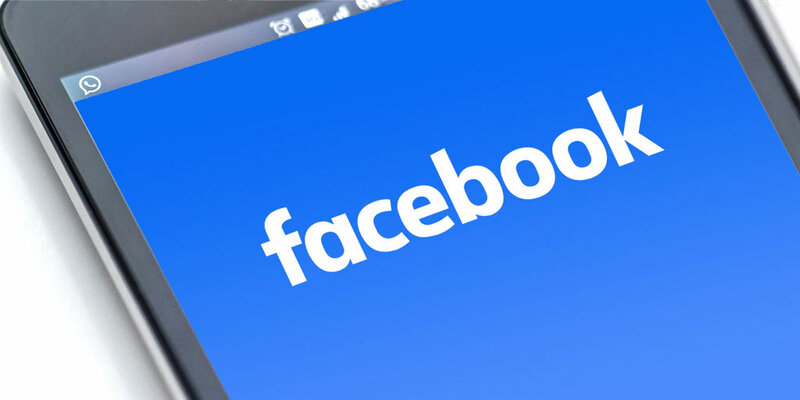 Clicking the Update Pages button will check with Facebook to see if you have added any new pages recently. We’ve also added an option to display activity from all of the pages you are monitoring — these are all of the pages that you have clicked the Play button for in the Page Manager. And the final feature we’ve added to this update is Review Filtering. You can now select to only view reviews that have a specific star rating, e.g. 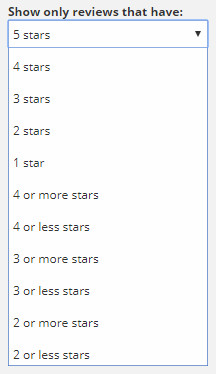 1 star or 5 stars, or a range, e.g. less than 4, more than 4, etc. 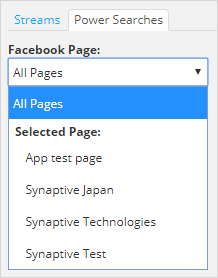 If you’re already using our standard Streamview for Facebook app, or the Facebook stream in our Streamview PRO app, click the Flag icon once to get the most up to date list of your Facebook pages. Not using Streamview for Facebook? Learn more on our website. And as always, if you have any questions, feel free to reach out.